We get asked a lot about long URLs with parameters in search engines versus short URLs. The popular misconception is that Google does not like URLs with parameters. That is not correct and Google even offer support within the Google Webmaster tool for determining action for parameters in URLs. Short URLs are very good if used in the right way and if considered in conjunction with the categorisation on your store. Content categorisation is something many webmasters fail to prioritise. It is, however, one of the most important aspects of on-page optimisation concerning SEO. Proper categorisation is utterly essential for a website with regard to establishing the ability for search engines to crawl it well and being able to ideally channel the “power” of a domain to every point within the website. Content categorisation primarily concerns determining where content is within the structure of pages. One merely needs to look at any given subpage’s URL. A URL’s initial categories always provide a description. They specify the category to which subcategories and products are assigned. Shop systems often keep categories and products separate. This means that – although the categories all adhere to the same hierarchical principle of categorization – every single product, conversely, is in just one directory, such as “Products”. As a rule, this is the case regarding ePages. The problem in this context is that the “Products” directory will contain hundreds of subpages – one for every product. Search engines therefore cannot associate them with a category. 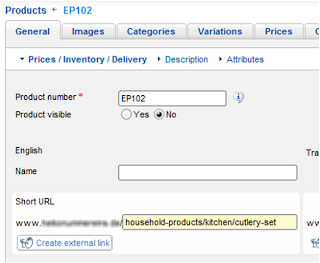 Example 2: www.domain.com.au/household-products/kitchen – Full stop, no additional content. The product itself, “cutlery set”, appears under www.domain.com/cutlery-set. If such a shop has a number of categories, then its products cannot be organised by category. Short-URLs, however, allow us to firmly incorporate products and content within a categorised structure. 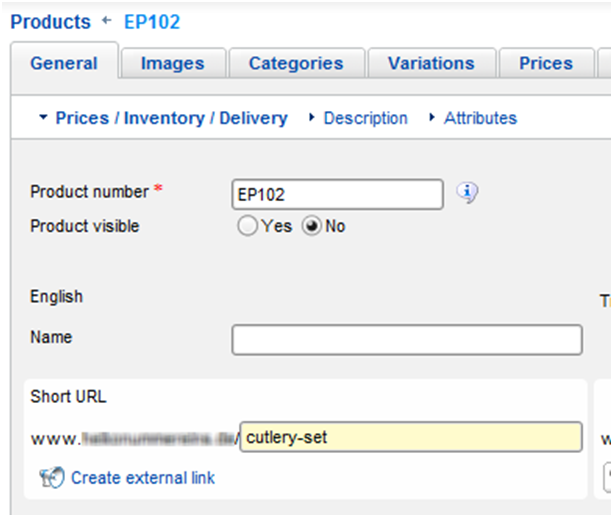 Short URLs have been available as a feature in ePages V6 and on the eCorner Hosted Cloud Shops. You should carefully think things through before proceeding to create Short-URLs. You can do a lot right and a lot wrong here. If you place all content directly under the domain, then your shop will look like a large balloon with amorphous content. As a result, few if any pages or products will rank highly in search-engine results, and you will need a great number of incoming links to change that. 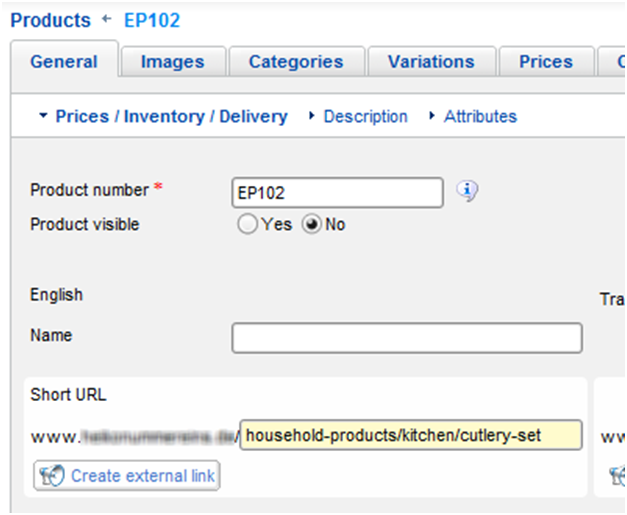 Example 2; portrays a different scenario: though content is categorised by means of pages, products are similarly placed 100% directly under the domain. This similarly fails to tap the full potential of Short-URLs, for the existing structure is simply retained. Nothing changes with regard to indexing, except that you will now see “keyword URLs” in results provided by Google and other search engines. The most recommended method is to categorise every single page and every single product in your shop. Every unit of content is thus associated with a specific position – as described in Example 1. This can, of course, entail a lot of work in the case of large shops. But it is worth it. After all, not only will the index be filled with more content, but this also boosts the rankings in search-engine result pages (SERPs). If you truly want to play in the premier leagues, then your categorisation must be perfect. 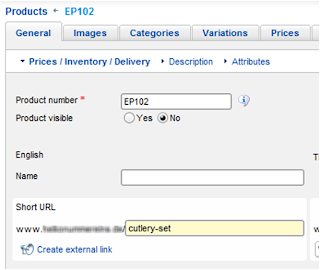 When you create a new product in your ePages Shop, the product name will by default be used – to start with – for the Short-URL. The product name will be placed directly underneath the domain. As soon as you have created a new product, you should modify this Short-URL and then add to it the appropriate categories in accordance with the categorisation of the product in your shop. Please note: some content reproduced from the ePages Blog and written by Maxim Grübel, seopinion.de with thanks. Very Nice and informative post and thanks for sharing. I really like it. This can, of course, entail a lot of work in the case of large shops. But it is worth it. I am really impressed on the great coming on this amazing principle. It will be much easier to understand the complex in the simpler one. if i type the url in directly it works "http://www.thatsnuts.com.au/Gourmet-Honey-Roasted-Almonds-175g"
but if you click on home and then the contact us link the url changes to a long one? is there a setting which should be enabled? Hi Matt I think that you just covered this question on live-chat from our website. If you need additional information don't hesitate to contact us.